In Toukiden you assume the role of a Slayer, tasked to defend what remains of humanity from the time-bending demons called Oni. You’re certainly not alone in this endeavour, assigned to the sleepy village of Utakata, you join a troop of seasoned, charismatic Slayers. While I would say that be opening a few hours of the game are rather heavy on the history and exposition, it is well-written, the characters in particular are distinct and memorable. There is of course, the larger over-arching narrative of Utakata’s fight for survival against the Oni, but the plot is largely driven by your companions; whether they are being haunted by their past or tested in the moment. Your fellow Slayers are easy to care about and it is a subtly different manner of storytelling that I found exponentially more compelling. That is not to say that you do not play the stereotypical hero though - your character has the rare ability to attract the Mitama in the dozens, when most Slayers can only connect with just one. Mitama are the spirits of the heroic figures, some historical some fictional, these spirits offer different abilities and bonuses in combat. Some can be found randomly by killing Oni in the field, while others are acquired by earning the trust of your companions. Those linked more closely to the main plot are unlocked in the story-progressing missions (many missions are optional) and they often appear in your dreams. Perhaps offering some insight into how they were killed by the Oni, for example; Takeda Shingen was locked in battle with his nemesis Uesugi Kenshin when the Oni rose up and swallowed him into darkness. This is one of the ways in which Toukiden establishes its surprisingly rich and intriguing fiction. Fortunately, all of the voice acting remains in its native Japanese with English subtitles, so we don't have another Bladestorm: Nightmare situation to contend with. Toukiden: Kiwami contains the content from the original PlayStation Vita release, Age of Demons, in addition to new story chapters, new Oni to slay, and new weapons and characters to bring into battle. You can import your saved data from Toukiden: Age of Demons or start fresh, like I did, on the PlayStation 4 (Kiwami is also available on the Vita). The new chapters added in Kiwami escalate the fiction and storytelling, drawing events and figures from land’s past whilst also exploring an entirely unexpected, yet certainly welcome angle of the bizarre. If you did play and enjoy the writing and character development in the first game, then I feel you could easily become enraptured by the story told in Kiwami. I didn’t measure it line by, but I very much got the impression that there was a greater density of storytelling in the new chapters. Furthermore, the new faces introduced here mesh well with the existing cast. Kiwami's narrative is steeped in history, shaded by the occult, and elevates the story of Toukiden to a level beyond that of the original release. Toukiden is very much Tecmo Koei’s take on the Monster Hunter formula (though not its first foray into this space) and so, approaching this I was concerned about complexity and inaccessibility. It is a topic of conversation that consistently casts a pall over the Monster Hunter games. However, Toukiden boasts a smooth and accessible learning curve. Now that's not to say it isn't challenging or lacks depth - the fast and easy missions of the first few chapters give way to an engaging and intense experience. Moreover, Toukiden is built in a manner that encourages you to explore and experiment the various weapons, party members, and Mitama at your disposal. The gameplay is engaging, both energetic in its approach to combat and movement, whilst also require attention and patient observation. Though admittedly, it takes a few chapters for this to truly shine through. Slaying a large Oni is often times a long and involved affair, they are effectively boss creatures that can transition through multiple forms in a fight, which often enable new moves and abilities. Slayers must first dismember parts the Oni’s body, such as the hands, feet, and tail, then purify each piece on the ground, mid-fight, before they can inflict meaningful damage on the creatures health. Most of these body parts grow back quickly, but destroying them usually staggers the Oni, exposing previously hard to reach targets, which is crucial aspect of fighting the taller creatures. While Toukiden is exceedingly repetitive in terms of both environment and mission design, learning to read the moves and animations of each of the large Oni, and discovering the fastest ways of dispatching them kept me invested throughout. 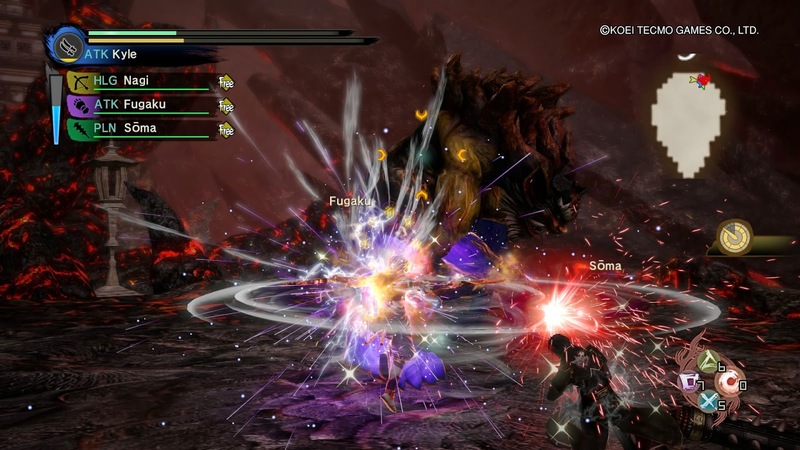 Toukiden is quite forgiving; you're able to quickly heal during a fight albeit a limited number of times, your companions can revive you although the window to do so decreases upon each death, and you have three complete respawns each mission. However, the later chapters see you face-off against monsters so powerful that even if they do not kill you in a single hit, they will likely stun you, leaving you wide open for a finishing hit. This makes solo missions particularly difficult, as well as longer missions that see your team take on multiple large Oni, often at the same time. Although it isn’t particularly punishing, Toukiden rewards paying close attention to the enemy’s movements, as well as learning the capabilities and applications of your own weapons and moves. At its core Toukiden’s gameplay is all about reading the moves of an Oni, dodging its attacks, and landing precision attacks whenever there is an opening. 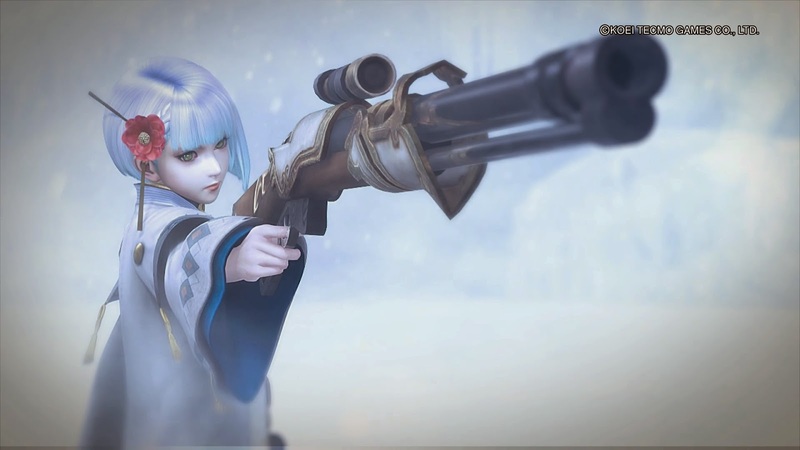 There are nine different types of weapons in the Toukiden: Kiwami, each with surprisingly different roles in combat. Spears for example, can halt a large Oni mid-charge, staggering it, leaving it vulnerable to attack, when you would have otherwise been rolling out of the way. The rifle, one of the new weapons introduced in the Kiwami release, alongside the naginata and the slow but powerful club, has an ammunition mechanic. This allows for different attacks like; close-range shotgun blasts, explosive rounds that arc through the sky akin to a mortar, and precise sniper shots. I frequently employed the fast and acrobatic twin blades that allowed my character to leap up the body of an Oni and strike at higher targets, unlike the heavier melee weapons that remain grounded. 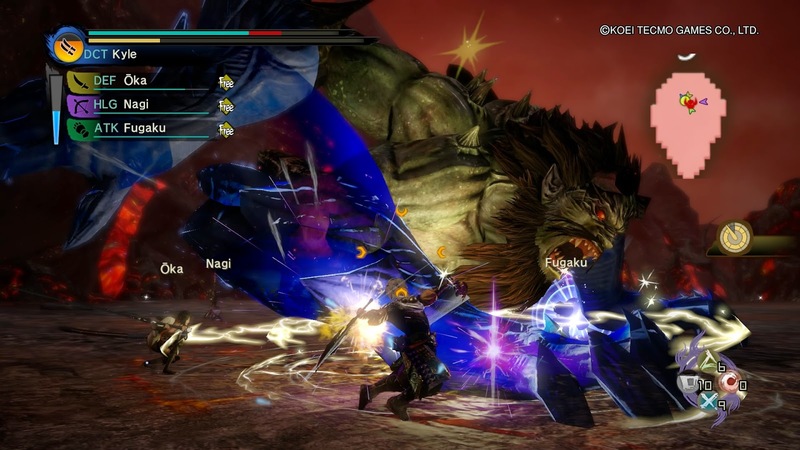 Toukiden uses a lock-on targeting system to help you track your foe, as well as the Eye of Truth to show its health, and in the case of the larger specimens, the status of individual limbs. The lock-on changes somewhat when used by a rifle-armed Slayer; it allows for individual limbs to be targeted, rather than the just the body as a whole, which becomes invaluable to surgically picking apart an Oni. My final playtime with in the game clocked in at more than fifty hours total. However, I largely mainlined the last six chapters, around half of the game, and only dabbled in the multiplayer component, a series of missions structured in a manner similar to the main story. Towards the end of the original Age of Demons chapters, a number of additional side missions become available these include the endless infinite mode and the difficult but rewarding emergency missions, as well as a host of non-essential missions. The Kiwami chapters also conclude by unlocking a host of additional missions. So there remains at least dozens of hours of additional, although certainly repetitive content to experience and ultimately use to acquire crafting materials. Between missions you return to Utakata village, to talk with your companions, feed your Tenko (a material-collecting fox creature) and most importantly, craft. The crafting system is extensive, you first acquire materials by defeating and purifying Oni and the limbs of the larger ones, on the battlefield. There are literally hundreds of different crafting materials which feed into dozens of different types of armour and weapons. Each of these weapons and armour pieces can be upgraded by gaining experience with them in battle, then spending Haku (the primary currency) or by using other rarer materials. What makes the system truly rewarding is that the majority of the gear is Oni-specific. 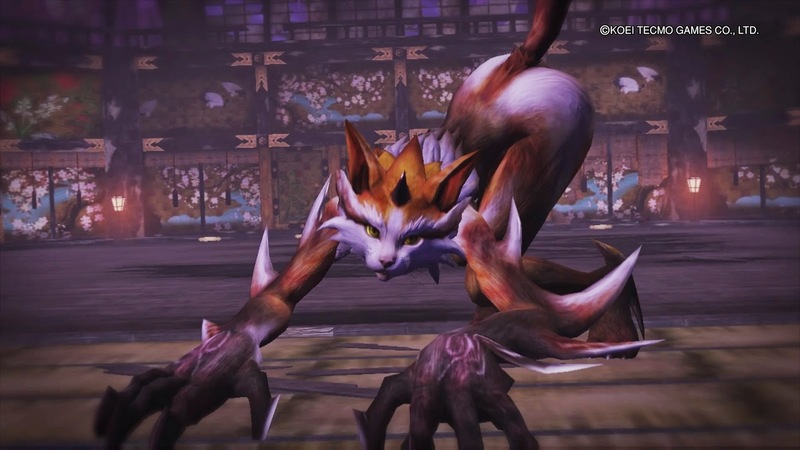 For example, the Feline armour set is largely constructed using materials acquired from the Mynx Oni, one of the creatures new to Kiwami. This armour is a cat-styled outfit, complete with tails and ears. The same is true for the weapons. The wealth of unique gear is impressive, and thanks to the Oni-oriented nature of the materials, it was in my experience, not an extreme grind to acquire the gear I wanted. When I needed a Mynx Tail, I jumped to a mission featuring a Mynx and focused on cutting off tail, there is of course an element of randomness but you can easily focus your efforts. 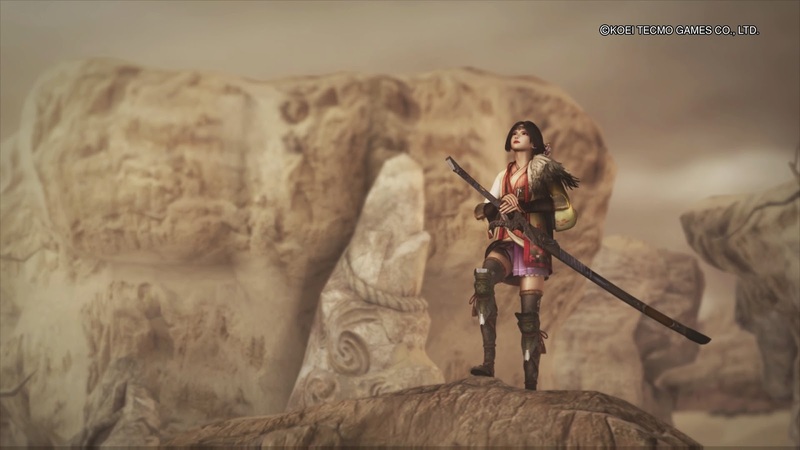 Visually, Toukiden makes the jump to consoles extremely well. From a technical perspective it looks sharp and merely delivering the most basic attack on an Oni unleashes a salvo of neon fireworks and glowing particles. The animation of the enemy creatures and the Slayers is excellent; fluid and distinct. The designs of the Oni are at times truly monstrous, while other times darkly beautiful, although always uniquely demonic and twisted. Toukiden boasts a strong, Japanese art style that for me was reminiscent of titles like Onimusha. Artistically, Toukiden is beautiful whether observing the Oni you face, the gear you craft, your fellow Slayers, or the 2D character portraits used to dialog. It revels in spectacle and creative flare. Toukiden truly imparted upon me a sense of rich heritage and wonder. I was driven by a desire to learn about the rather harrowing nature of world, the motivations of the characters who reside within it. As well as how to combat the gargantuan Oni, by absorbing their movements and animation and being able to intuit the reach and effect of my own motions. My time with Toukiden: Kiwami could have easily been different however, were it not for its accessible nature. It is a rewarding ramp of intensity and spectacle made all the more appealing by great writing and wealth of diverse gear ripe for crafting. Great review! Going to 140 hour already...love the game! Playing the vita version.